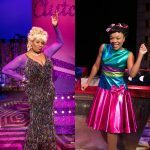 Get to know Brenda Edwards (Motormouth Maybelle) and her on stage daughter Little Inez (Monifa James). Brenda: My main memory of my parents is that they always played music and I have just grown up loving all genres and loved to sing for as long as I could remember. Monifa: My family used to play instruments when I was younger, so I have always been around music and I have loved performing from a very young age. 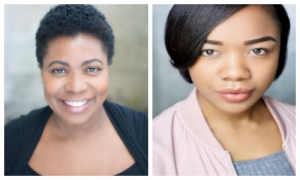 Many performers have inspired me such as Beyonce and Beverley Knight as well as actress Raven Symone. Do you have any pre-show habits? Monifa: I always drink loads of water as I have a fear of getting a dry throat on stage. When I am backstage, I do a few last minute stretches and vocal warm ups- sirens and lip trills. Brenda: My boom box. I like to play up beat songs and sing along. Monifa: Portable speaker- I always need music playing when I am getting ready. At school, were you the Nicest Kid in Town or always in Detention? Brenda: I was one of the nicest kids. I was a school prefect and also got outstanding pupil of the year award in my last year. Monifa: I was definitely one of the nicest kids in town; I was a good girl throughout school and college. Brenda: I love all soap operas. Brookside, Dallas, Crossroads, Home & Away, Eastenders etc. What message would you give your teenage self? Brenda: Think before you speak. Monifa: To stay positive and continue to work hard as it will all be worth it in the end. How would you describe Hairspray in 3 words? Brenda: Relevant, entertaining and colourful.